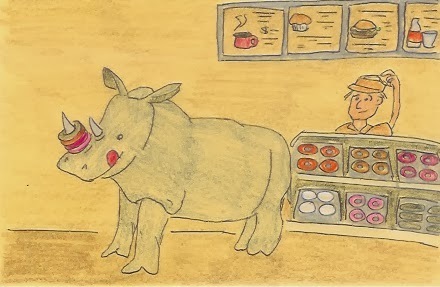 The unicorn and narwhal back at the office hated when it was rhino's turn to pick up snacks. They felt he was cheap and never bought enough. The meerkat on reception, who due to the requirements of the position was unable to do a snack run, wished he could just once have a danish.